Oh no! 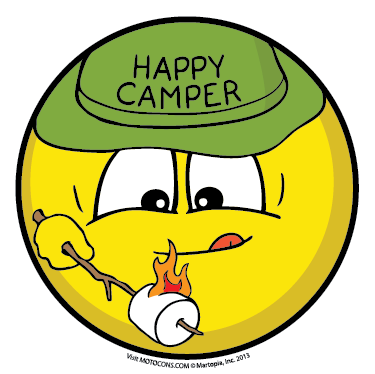 Who is not a happy camper?! This expression probably grabs my attention more than it does for others because as a camp director, everyone needs to be a happy camper! It did get me thinking… how did this expression make it into everyday conversation? It is an obvious thing to say at summer camp or while camping, but I doubt in mid-October that this Manhattan woman was referring to her friend in the woods somewhere.